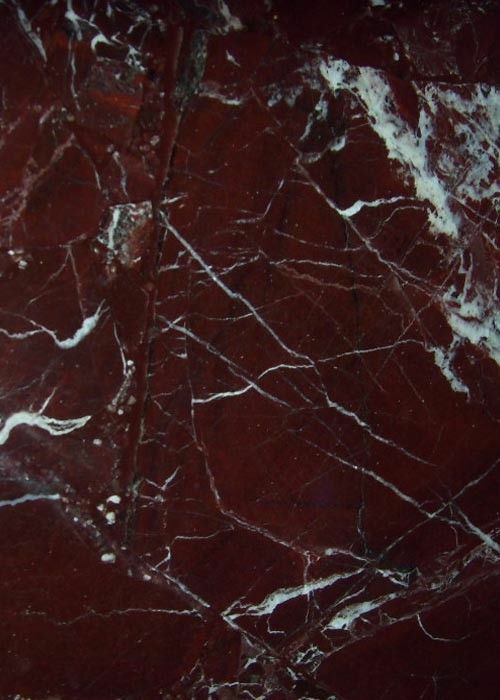 ​The pattern of Rosso Levanto is very obvious, a large area of purple-colored blocks mixed with or pure white or verdant lines, shaped in the Chinese painting of the plum exhibition, decorative effect tone elegant, generous style. 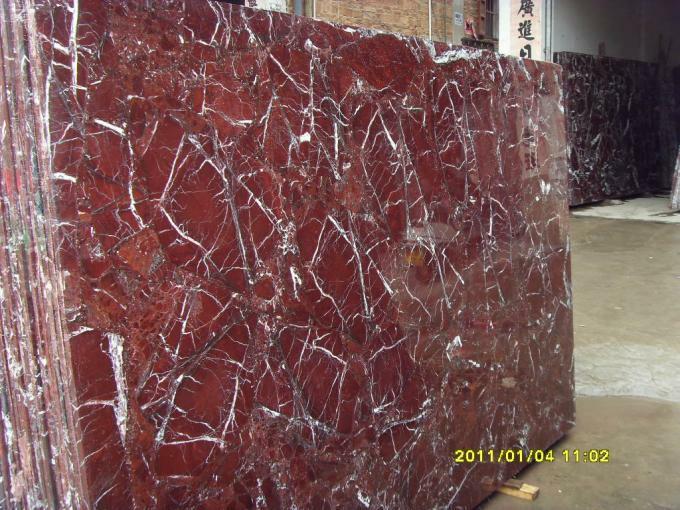 "In Rosso Levanto Stone varieties, in fact, it is difficult to natural material." 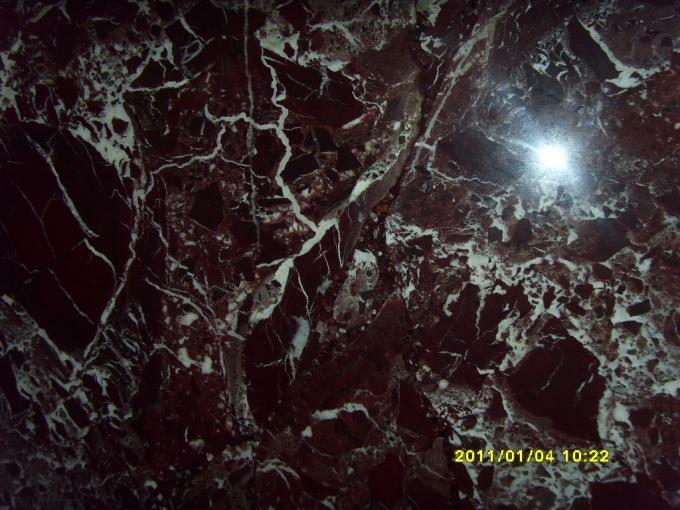 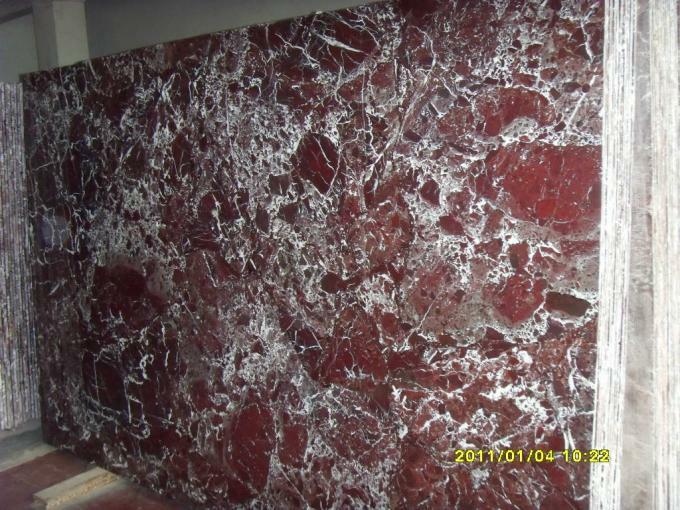 "Rosso Levanto is difficult to extract a complete chunk of stone, the appearance of incomplete, cave eye is a common thing, the need for late repair, the main method is to find white, emerald green, purple red and other gravel material to fill, and then grinding on the surface, if handled well, it is difficult to discern human traces." 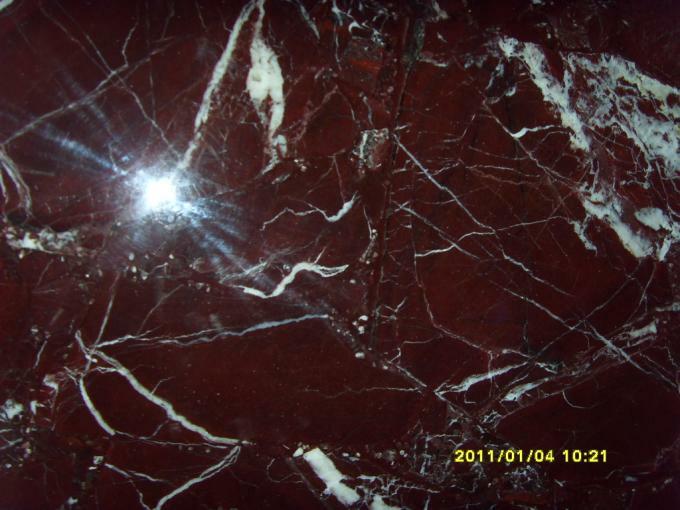 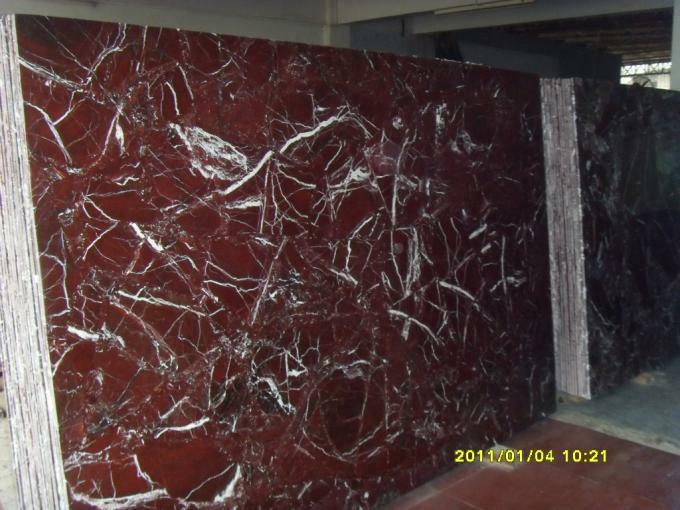 Generally speaking, the less the phenomenon of purple Luo Hong stone defects, the more precious. 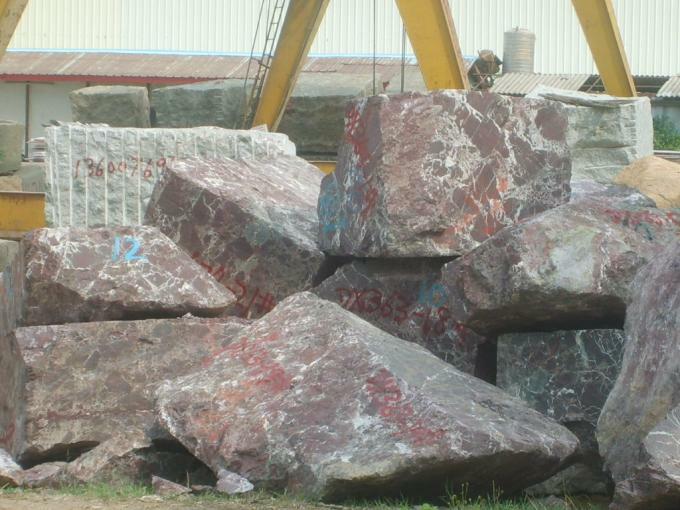 The best variety is that the whole stone is rarely incomplete, the pattern of the overall sense is strong, there is no sense of stiffness and fracture; a slightly more varied variety is made of patches that are obvious or mostly stitched together with gravel; the worst quality is not only the obvious traces of repair, but also the dark color, almost lost the meaning of big purple red.